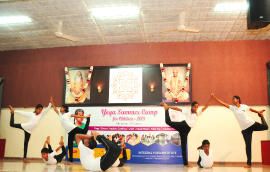 BASIC YOGA TEACHER TRAINING PROGRAM – 25th FEBRUARY 2019 & 29th MAY 2019. || YOGA FOR THE SPECIAL CHILD BASIC I 28th SEPTEMBER – 3rd OCTOBER. CONTINUING EDUCATION ON 5 GOLDEN KEYS 5th – 8th OCTOBER 2019. His Holiness Sri Swami Satchidananda is among the most revered Yoga masters of our time. He was a living example of the teachings of Integral Yoga and its goal of Self-Realization. He was born in a South Indian village named Chettipalayam on 22 December 1914. In 1949, he was ordained as a monk by Sri Swami Sivananda, founder of the Divine Life Society in Rishikesh. Integral Yoga, as taught by Swamiji, combines various methods of Yoga, including Hatha Yoga, selfless service, meditation and prayer that helps one find the peace and joy within. 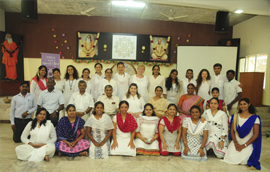 Today more than 25 Integral Yoga Institutes and Integral Yoga Teaching centers abroad offer classes and training programs in all aspects of Integral Yoga. 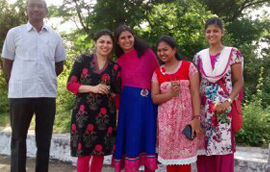 In India, Integral Yoga Institute was founded in the year 1974 at Coimbatore. The Guru is not really bringing you anythings new ; instead he is simply removing the obstacles so the flow of consciousness will be continuous and the water can reach its source. Your conscience is that part of God that is within you. If you have faith, you don’t need to worry about anything; you will be given the strength to accept everything.